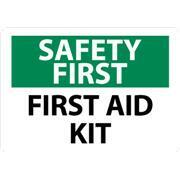 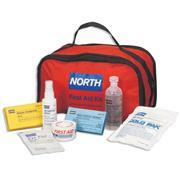 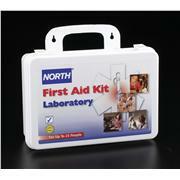 These general industry first aid kits are packaged in durable soft-sided red nylon bags. 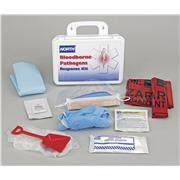 Portable kits are easy for a first responder to carry to the site of an emergency. 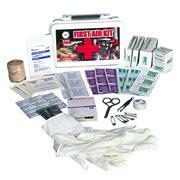 Kits carry a variety of bandages, pads, gloves, sprays and ointments depending on size. 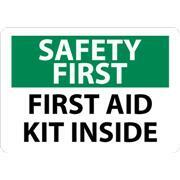 Some include CPR barrier. 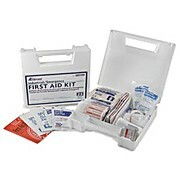 First aid stations provide a large quantity and assortment of medical supplies for most minor injuries, aches and pains. 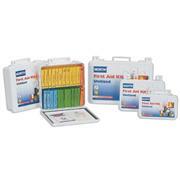 Ideal for office, lab or manufacturing settings, they offer a large supply of medicinals for relief from cold, pain and indigestion. 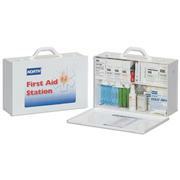 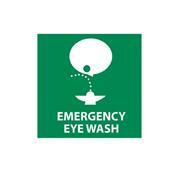 All stations are ANSI Z308,1-2003 compliant. 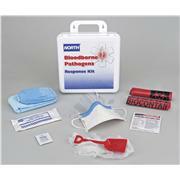 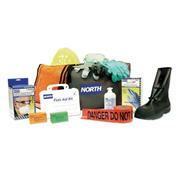 These kits are complete with the necessary supplies to clean a spill containing bloodborne pathogens as well as PPE necessary to protect employees in accordance with OSHA 1910.130.